This Warn Industries Winch Cable has a 12,000 pound capacity with 0.375 inch diameter and 25 feet length. This Warn Industries Winch Cable has a 18,000 pound capacity with 0.4375 inch diameter and 25 feet length. This Warn Industries Winch Rope has a 12,000 pound capacity with 0.375 inch diameter and 50 feet length. This Warn Industries Winch rope has a 18,000 pound capacity with 0.4375 inch diameter and 50 feet length. This Warn Industries Winch Cable has a 12,000 pound capacity with 0.375 inch diameter and 80 feet length. This Warn Industries hard wired Winch Remote Hand Held Controller is used for RT/XT 25 series, RT/XT 15 series, 2.5ci and 1.5ci winches. 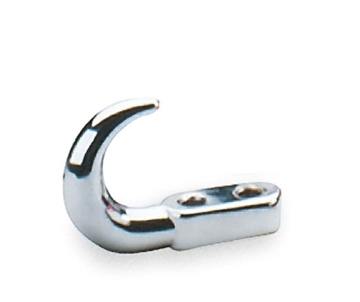 This Warn Industries universal Tow Hook has a 8,000 pounds capacity and comes in chrome plated finish. It is sold individually. This Warn Industries 1.2 inch pin D-Ring has a load capacity of 4,000 pounds and is made of steel. This Warn Industries 7/8 inch pin D-Ring is made of steel and used for 18,000 lb (8164 kg) capacity winches and under.